Eastern Jin’s She Zheng Wang had icy, jade-like beauty and peerless talent. It’s said his admirers were enough to fill 3 entire cities! Eastern Jin’s She Zheng Wang was only second to the Emperor and temperamental, but rumors are that a young fox entered his bathroom, yet actually didn’t die. Eastern Jin’s She Zheng Wang known for being mysophobic, never touching any females, but he only loved the fox. He even held the fox as he slept! 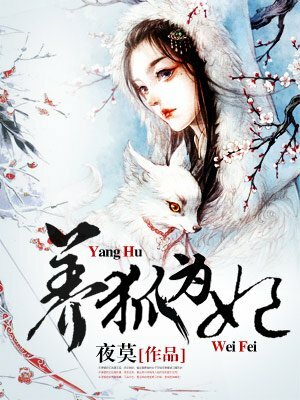 Only read 7 chapters and I love it already the story seems promising, the ML seems decent (not abusive like in "Wangye, wangfei is a cat") though he seems kind of cold he probably won't s*xually abuse the MC when she turns human. Well he's probably a virgin like all cold, devilishly handsome male leads. I really hope this gets picked up or the translations get released faster. Though it's to early to give a fair opinion but based on the released chapter it has potential. The characters in this novel feel so flat and honestly the main leads (as well as the male rival and the antagonists) infuriate me to no end. The main lead especially just seems to have a one track mind and constantly runs into trouble while never learning from her mistakes. Time and again she gets herself into sticky situations and waits for the male lead (s) to save her. I've been waiting for a novel like this! I'm really fond of a plot where cute, cuddly animals turn into humans and have a love fate with their benefactors, hehehe. But all bias aside, this is a good novel. Read if you like a doting to MC but cold to others ML, ancient China, fluffy and mischievous MC, and comedy. The translation is good but the MC is annoying me to no end. She's clearly an animal. Why does she think that the male lead is hers? She does not even know if she can become human again!. One second she is scared that the ML will kill her or she is running for her life or trying to save another fox then the next second she forgets everything and salivates over his looks. Is she a two year old? If you can completely switch off your common sense, and simply focus on the cuteness aspect of this story, then you will enjoy it. This series surprised me by having not one dimensional side characters/antagonists, but zero dimensional. Literally dots. Like, why would you feel threatened about your place in the heart of your romantic partner by a fricking pet? The male leads, so far, are just that. It is quite very standard fare. Jade greek body with arctic currents around them. The cuteness aspect of the fox is well done. It is... more>> not overly done, and is done naturally. I am surprised to say this, but the animals in this series have more character than the humans. In the end, it is too soon to say if it Mango approved or not. However, I definitely wouldn't put this at the top of my list. It’s cute, but confusing. As of chapter 14, I have no idea what’s going on at all. Supposedly, the ML and MC have ingested a “love potion” supposedly due to a dastardly scheme of another woman. Frankly, I can’t find that scene. At all. Only the aftermath of the MC’s being intoxicated is shown. Nor does it make sense since the character who supposedly made them ingest the potion is introduced, takes a bath, and is thrown out, nothing more. Where and when did she force a potion on them...? It was a pain in the as* for me to reach here, as I would never abandon a romance story once I read it. Starts out okay and so so, but the MC is damn ridiculously stupid. She is a freakin human for god sake but really does act and behave like a stupid 4-days-old chicken. ... more>> Her decision is what making the storyline going, so yeah, pretty stupid. She decides she wants the main guy, acts as if he's hers, okat I'm good with that. But! That bird brain of her keeps on doing things contrary to that is what made me furious. In the case of wan siyu and her on the small wolf, I get that she feels sorry and wanted to do something. Then she fell for the trick and realized that fact, but she still f*ing being docile to nangong yin on ridiculous situation that she could evade. I'm glad I'm done with this. It was superb in the beginning and a bit further it became good and right after that it started to go down with the bang. All type of loose cannon twists and subplots makes it unbearable for me to continue. I loved the starting though. Thankfully read the spoilers on time. I have read the raw. Not finish it yet. This novel is really exciting, I havent sleep for 3 days for this from c88 cant help it when its fun. I stop in chapter 271 I just gonna wait for the translation. Gonna re-read it again c89 up when update in english is available here in novel update. hmm... it has element of excitement, mystery, love, revenge, change, weak to strong, dumb to smart through experience just so many twist and turn my head hurt from reading google cant understand anymore.... more>> So I quit. Gonna be waiting for translation in english. For fellow pervert this is for us. Haha but the scene still falls to "decent" not too smutty. Its funny everytime theres an attempt to "eat" the MC its always interrupted in most unexpected funny way. It remind me of "my disciple die yet again" Just that ML always attempt to eat the MC. Its reverve in MDDYA. Its not totally a comedic novel but there are funny moment that will make you die in laughing. I really like these kinds of stories. I don't know why... I just hope we'll see even more chapters getting released in the future. Kinda too early to really judge the overall story. But the premise is there.